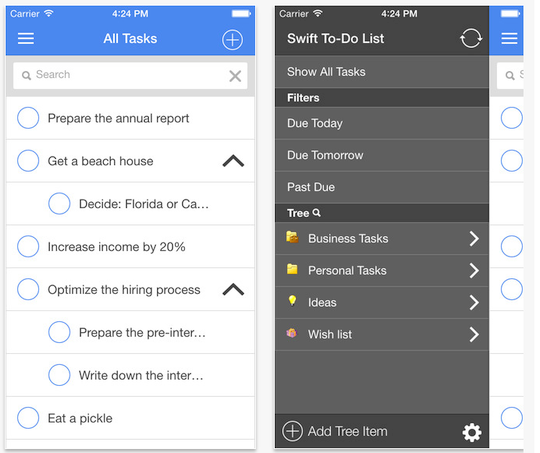 The official Swift To-Do List mobile app for iPhone and Android has been released! You can get the app for iOS at Apple App Store or for Android from Google Play. Don’t confuse the new mobile app with the old one called “Swift To-Do List Inbox”. The old inbox app just allows you to add tasks when on the go – but the new one is full-featured. You can work with all your to-do lists and memos, add and edit subtasks, setup reminders, edit notes (including formatting), and more. The mobile app is fully synchronized with the Windows desktop version of Swift To-Do List 9. To use the new mobile app, you will need Swift To-Do List 9. 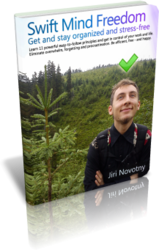 If you don’t have it, download it from our website. After installing and starting Swift To-Do List 9 for Windows (download), use menu File – Advanced – Enable Beta Features. This will display the Sync tab. Click the Sync button inside the Sync tab to create your Secure Cloud Sync account. With this account, you can log-in into the mobile app. The mobile app is completely free for Swift To-Do List 9 users. Please tell us what you like or don’t like about the new mobile app! This is just the first version, and we plan to keep improving it. We are working on tablet (iPad) versions right now, and would like to release them in about 3-6 weeks. Will there be an app for Windows phone? If not, maybe just a stripped down app (like the mobile inbox) just to collect and sync items until able to access the full-featured Swift To-Do, where they can be processed, assigned to the right list, edited, etc? I am trying to use the web app on a phone and it really doesn’t work! Right now, we don’t plan a Windows phone app. That being said, if more customers request it, we will definitely consider it. The web-app can and will have a better support for mobile devices in the future, so it might be eventually be possible to use it on Windows phone devices. having used Swift To-Do List with delight for a long time, I would like to get back to it again. But – like Nefercat wrote to you in January – I’m in need to have it working on Windows Mobile Smartphone as well! Please make it possible as soon as possible! The world is in need for it! We currently do not work on a native Windows Mobile smartphone app, but it’s a possibility, and the web-app might very well support Windows Mobile in the future.